Distillation columns are complex processes for modeling and controlling. These columns are significant parts of most chemical industries for separation of components. Control of this process is essential for achieving certain purity for products with a minimum cost. However, nonlinearities, multivariable interaction, non-stationary behavior and severity of disturbances inside the column made this process too complex for controlling. In this study a graphical method is applied to model steady state continues tow components distillation column. First, a MATLAB code was developed to solve the mathematical model of the column. Then, the column was simulated using HYSYS software. Finally, the reflux ratio of this column was optimized to minimize the operating cost. 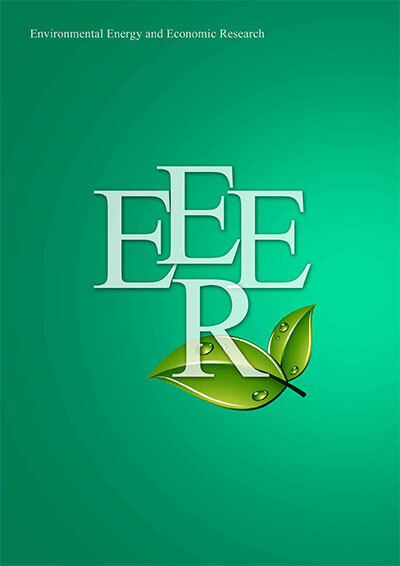 A formula is presented to calculate the optimum value of this reflux ratio as an exponential function of a certain economic parameter of energy prices and depreciation costs. It is resulted that at low energy prices or high equipment depreciation costs, the optimum reflux factor is high. Balchen, J.G. and Mumme, K.L. (1988) Process Control: Structures and Applications, Van Nostrand Reinhold, New York. Chen, H.J. and Lin, Y.C. (2001) Case Studies on Optimum Reflux Ratio of Distillation Towers in Petroleum Refining Processes, Tamkang Journal of Science and Engineering, 4(2), 105-110. Diwekar, U.M., Madhavan, K.P. and Swaney, R.E. (1985) Optimization of Multicomponent Batch Distillation Columns, Industrial & Engineering Chemistry Research, 28, 1011-1017. Enagandula, S. and Riggs, J.B. (2006) Distillation control configuration selection based on product variability prediction. Control Engineering Practice, 14, 743-755. Fazlali, A., Hosseini, M., Yasini, B. and Moghadassi, A. (2009) Optimization of operating conditions of distillation columns: an energy saving option in refinery industry. Songklanakarin Journal of Science and Technology, 31(6), 661-664.
Henley, E.J. and Seader, J.D. (1981) Equilibrium-Stage Separation Operations in Chemical Engineering, Wiley, New York. Hurowitz, S., Anderson, J., Duvall, M. and Riggs, J.B. (2003) Distillation control configuration selection, Journal of Process Control, 13, 357-362. Kaydani, H. and Mohebbi, A. (2013) A comparison study of using optimization algorithms and artificial neural networks for predicting permeability, petroleum science and engineering, 112, 17-23. King, C.J. (1971) Separation Processes, McGraw-Hill, New York. Luyben, P. (1990) Process Modeling: Simulation and Control for Chemical Engineers, McGraw-Hill, New York. Luyben, W.L. (1992) Practical Distillation Control, Van Nostrand Reinhold, New York. Mauhar, S.M., Barjaktarovic, B.G. and Sovilj, M.N. (2004) Optimization of Propylene-Propane Distillation Process, Chemical Papers, 58(6), 386-390. McCabe, W.L. and Thiele, E.W. (1925) Graphical Design of Fractionating Columns, Industrial & Engineering Chemistry, 17(6), 605-611. Perry, R.H. and Green, D.W. (1999) Perry's Chemical Engineers Handbook, McGraw-Hill, New York. Rajabioun, R. (2011) Cuckoo Optimization Algorithm, Applied Soft Computing, 11, 5508-5518. Ren, J., Tan, S., Dong, L., He, S. and Ji, X. (2010) Optimization of The Reflux Ratio for a Stage Distillation Column Based on an Improved Particle Swarm Algorithm, Chemical and Process Engineering, 31, 15-24. Robinson, C.S. and Gilliland, E.R. (1950) Elements of Fractional Distillation, McGraw-Hill, New York. Shinskey, F.G. (1984) Distillation Control: For Productivity and Energy Conservation, McGraw-Hill, New York. Talifu, D. and Luo, Y.Q. (2005) (in Chinese), Journal of Industrial and Engineering. 22, 70-71. Treybal, R.E. (1981) Mass-Transfer Operations, McGraw-Hill, New York.